Winter is still here, but summer is not that far away! Come get a head start on your summer plans by visiting us this Saturday at PS 321’s Summer Camp Expo to learn more about our fun-filled food & garden summer camp! Not only will our Co-Founder and Camp Director be there to answer all of your questions, we will also be sampling our homemade camp snacks like our famous granola bars and giving out some seed packets for garden inspiration. Our summer camp is all about food! How to grow, harvest, cook, compost, where it comes from, who is behind the scenes, how much energy it takes to get to us, and why it’s good for us. All while having fun in the sun, and enjoying the summer-time to it’s fullest. For those who sign up for camp at the PS 321 event, we’ll give you an additional $75.00 off, along with our 10% off promotion. Last week the nation celebrated Food Day, a movement for healthy, affordable and sustainable food. The marquee for the event was a conference entitled Future of Food 2050. Our advisor Dr. David Katz was a guest panelist at the event, speaking alongside Eric Meade, Vice President and Senior Futurist, Institute for Alternative Futures and Andrea Thomas, SVP for sustainability at Walmart. Butter Beans: What will the role of the lunch server be? Will there be an educational component to school cafeterias? Dr. Katz: The only food options will be wholesome, mostly direct from nature, mostly plants. Education about food will be culture-wide, and by 2050 there won’t be much need for it in cafeterias anymore. Butter Beans: Will nutrition education be incorporated into state and national education standards? Dr. Katz: Yes. Food literacy will be as important and universal as any other kinds of literacy. There will be gaps, as there are with literacy, but not for want of embracing it as a priority. Butter Beans: What will Myplate look like in 2050? What will the ratio of meat:vegetables be? Dr. Katz: Meat will be optional/discretionary. MyPlate will no longer exist because the government will have acknowledged its conflicts of interest, and outsourced dietary guidelines to an independent organization such as IOM. Butter Beans: How do you see the role of nutrition and food education evolving in schools and government policy? Dr. Katz: The primary driver of dietary change will be culture change, and that in turn will change the food environment. Good choices will be easy choices, and often the only choices – reducing the burden on the educational system. But education about food choice, food important, food effects, food selection, and food preparation will be universal because these will be considered basic, modern survival skills. What will the state of our food system look like in 2050? Dr. Katz reflected that if our culture deemed that our health mattered as much as our wealth, you would see investments in our health increase. Dr. Katz believes that we have to find ways to get our culture to think of health as a form of wealth, and not address health issues after they have manifested themselves, rather address them beforehand. He promotes prevention as a solution to health problems down the road, and in his vision of 2050 we are all much better off than we are now, as long as our culture collectively decides, and acts on creating a better food future for all. Being followers of our blog, you may have heard about our food & garden summer camp. It’s a blast for our campers, as they get to explore the New York City foodshed and have fun food adventures! At camp, we learn all about the food cycle, from sprouting seeds, composting and harvesting fresh produce from local rooftop farms, to writing our very own cookbooks. As the weeks progress our campers have explored farmer’s markets, created their own pickles and preserves, and have made bread and ice cream from scratch! Our campers learn expert kitchen skills from local chefs, take tours of cheese caves, and trips to master chocolate makers. They also have plenty of opportunities to play outside, and go foraging and berry picking at summer’s peak. We are offering an early bird special on our camp tuition: sign up by October 31st and receive 15% off camp tuition. Camp runs throughout July & August. For more information visit our website for our printable and online registration form. Camp date are: Monday, July 8th to Friday, August 16th. We offer pick up and drop off in Brooklyn or Manhattan. Campers are 6-12 years old. 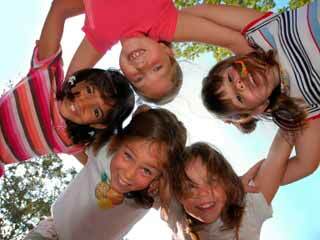 We offer early care from 8-9am and after-care from 4-5pm. Our daily fee includes a morning snack and home cooked lunch, 1 camp t-shirt, transportation to and from trips, and all activity materials. food day at butter beans! Food Day is a nationwide celebration and a movement toward more healthy, affordable, and sustainable food. There are events going on all around the country, and we are excited to get involved! We are participating by educating our students on where we source our food. We have created a special table top for our students that highlights where our fruits and vegetables, meats, and milk come from. We’re also encouraging students to ask their grocers and butchers about where their food comes from and eat locally whenever they can! How are you participating in Food Day? This past July, Catalyst Cares, a charitable organization promoting social mobility in communities throughout NYC that are prone to obesity, launched its second health and wellness campaign called Let’s Move! Brooklyn. The main goal of Let’s Move! Brooklyn is to try and stamp out the food desert status and lower the obesity rate in Central Brooklyn by three percentage points in three years. Let’s Move! Brooklyn is part of First Lady Michelle Obama’s Let’s Move! initiative. Both campaigns aim to educate children and their parents about nutrition and how to lead active and healthy lifestyles. NYC Council Speaker Christine Quinn was a featured guest at the launch event, declaring, “This organization’s mission speaks directly to our city’s obesity epidemic and together we will all fight to find solutions that will improve the health and wellness of all New Yorkers, especially for our residents in low income communities.” Speaker Quinn is an advocate of making fresh produce affordable and convenient for all NYC residents. Recently, she worked with Mayor Michael Bloomberg to implement lower prices at all the city’s farmers markets, offering greater access to nutritious whole foods for low-income New Yorkers. We think that this is a great start to teach our city’s kids how to better take care of themselves and learn positive habits. With one in three of the country’s adolescents being overweight or obese, this is a dilemma that needs to be addressed now, and other organizations like Wellness in the Schools, City Harvest, Just Food, Edible Schoolyard NYC, and Veggiecation are helping to lead us on the path to correcting this ever-expanding issue. 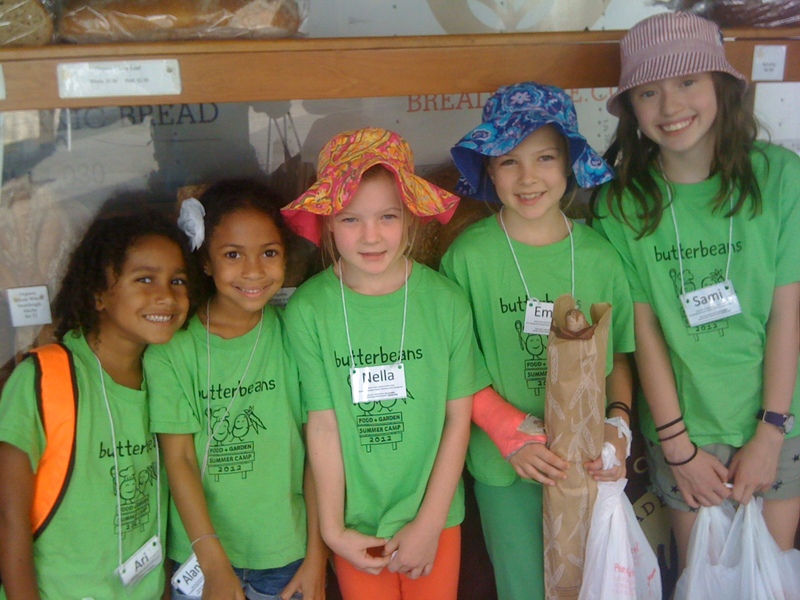 At Butter Beans, one of our main goals is to get kids thinking about how their food choices affect their lives in the present, but also in the future. We provide them with the tools to create a balanced and delicious meal, made with whole foods, from scratch. Our food education programs illustrate to them how healthy eating is essential to maintaining a healthy lifestyle. For more information, check out this report of the obesity rates in the Bedford-Stuyvesant and Bushwick neighborhoods of Brooklyn and read the Lets Move! Brooklyn press release. For those who do not live in the Brooklyn area but want to get involved with the Let’s Move! campaign, visit this website dedicated to creating meet-ups across the country. The flexibility that Let’s Move! Meetup offers is deeply encouraging, helping foster the growth of community-based programs that aim to teach residents how to lead healthier lifestyles. Photos courtesy of kcentv.com and Let’s Move!